Locals and visitors will find a full roster of family activities in Richmond this fall, with several attractions offering a special welcome to autumnal callers. Leaf-viewing walks are great for sunny days, but these indoor pursuits are perfect for enjoying the season without the need for fleecy layers. Near the Canada Line’s Aberdeen Station, Lipont Place’s blockbuster show—Titanic: The Artifact Exhibition—has been wowing visitors since launching in June. And now that the crowds have eased, it’s the ideal time to take a closer look at 120+ unique items salvaged from history’s most famous shipwreck. History of a different kind is celebrated at the Richmond Olympic Oval. The 2010 Winter Olympics venue is home to the Olympic Experience—Canada’s only official Olympic Museum. 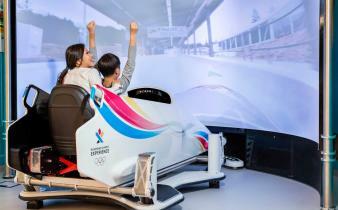 Visitors of all ages will love checking out the Olympic artifacts and memorabilia including medals and torches, and trying out an array of high-tech sport simulators. 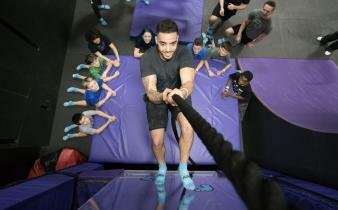 You can also work up a sweat at Apex Adventure Plex. It’s full of family-friendly options ranging from bubble soccer to rock climbing to a ninja obstacle course—plus a trampoline park with zones for all abilities. Plan ahead for special event and activity days that include Toddler Time and Club Apex nights. 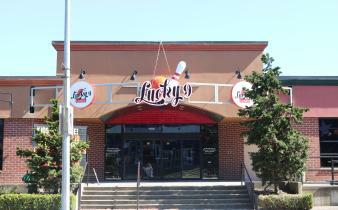 And if bowling is your idea of indoor fun, beeline to Lucky 9 Lanes. Alongside its popular gaming arcade, there are 28 10-pin and 12 5-pin lanes to play on. And when it’s time for a breather from throwing strikes, there are also hearty wood-fired pizzas on the menu to stave off the autumn chill. Ready for fall fun in Richmond? Book your trip now.